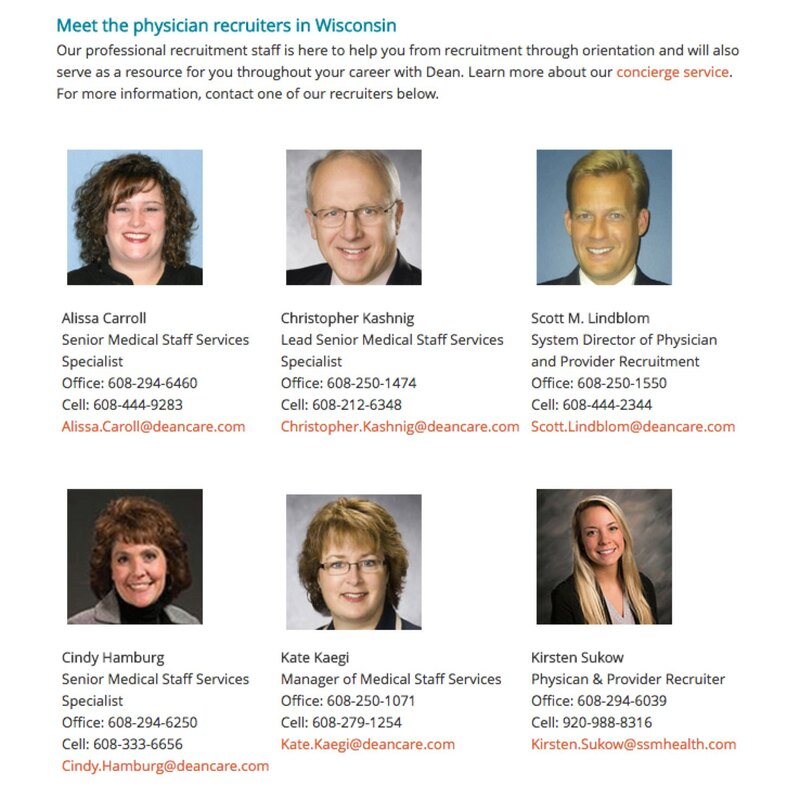 If you’re recruiting physicians, or any experienced/tough to fill positions, you might want to borrow a page from the playbook of SSM Health, the St. Louis-based network of 20 hospitals. …and then select a recruiter to reach out to. 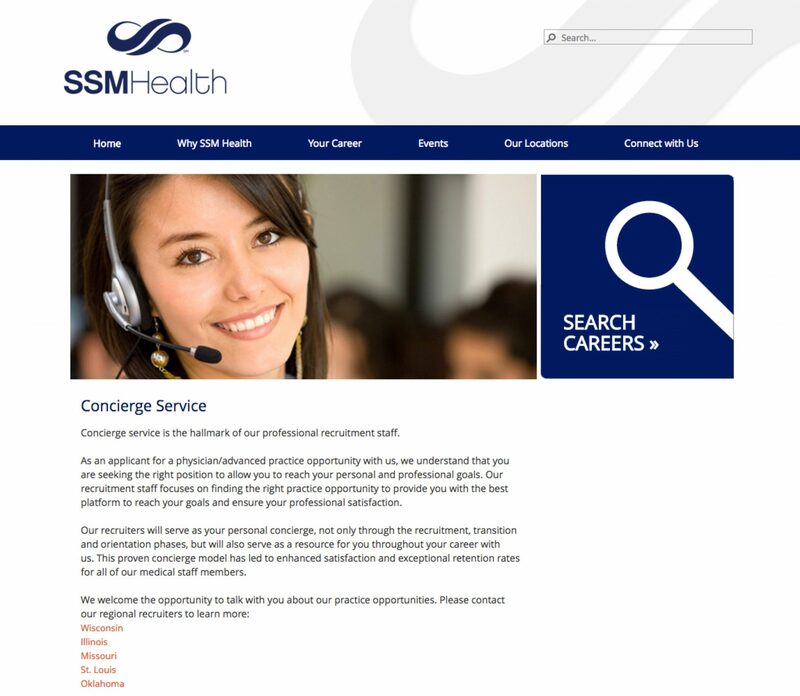 Notice how SSM is transparent about the recruiters’ names, titles, phone numbers (including cell) and email address. I’ll keep beating this drum — why don’t all recruiting teams show themselves to candidates? Read on to hear why. Know — Unless you are a top brand known by all, you have to show yourself more to get known! And remember that customers buy from people (not organizations) so showing the people on your team is what sells the candidate best. Like — You are offering to be their “Concierge” (very likeable) and the recruiters are all smiling (candidates “like” being around happy people). The best candidates will know, like and trust you more for such transparency and acting like your concierge/advisor (and not being transaction-based). This is a great recruiting strategy, SSM! If you want to get candidates to know, like and trust you more through your digital pages, click here to talk to our team about how the Ongig Cloud software magically does just about all of this for you.